Grew Up... with a silver spoon in his mouth and a ruthless politician as his father. 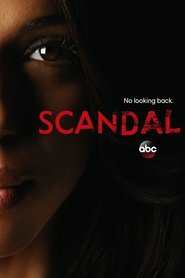 Fitz's relationship with his father, Jerry Grant, affects him well into adulthood, as Fitz continues to harbor resentment for the man who cheated on his dying mother and openly questioned Fitz's aptitude for becoming President. An only child, Fitz graduated from Yale and Harvard Law School before joining the U.S. Navy and pursuing his presidential ambitions. Living... in the White House with his often estranged wife, Mellie, and their three children – Jerry, Karen, and little Teddy. Profession... leader of the free world. President Fitzgerald Thomas Grant III's presidency has been predictably rife with external challenges (such as wars and political scandals) but also problems within his own circle. The latter are not limited to his mutinous vice president, Sally Langston; a peanut gallery that insists on telling him how to run the country; and a series of affairs that threaten to ruin his marriage, reputation, and presidency. Interests... serving the American people and being with Olivia Pope, the best “fixer” in Washington. Fitz ran for president to help people, not for the title, and he often contemplates giving it all up in order to be with Olivia. His ultimate dream is marrying Olivia and becoming the governor of Vermont, but it appears that too much stands in the way of that fantasy. Not least that it’s hard to imagine Olivia leaving her own high-powered crisis-management firm. Challenge... establishing his authority over both the country and his own White House. Remnants of his father's belittlement cast a shadow over Fitz's presidency, and it becomes evident when he inadvertently permits his wife, Chief of Staff Cyrus Beene, and even Olivia Pope to run his life for him. Only when Olivia appears to become his enemy does he realize, “I'm the President of the United States of America. It’s time I acted like it.” Unfortunately, this type of truly assertive behavior is too little seen from him, especially given his position. Personality... smart and charming, but troubled. Charismatic and well-liked, Fitz is the obvious horse to back for the people who run his campaign and eventually follow him to the White House. Despite this support, Fitz often feels encumbered by his presidency – which doesn't allow him to live the life he wants to lead with Olivia – and this often makes him miserable. When his life feels chaotic, he takes to drinking and berating those around him, which can make him a questionable president, husband, and father. Fitzgerald Grant's popularity ranking on CharacTour is #2307 out of 5,000+ characters. See our top-ranked characters and read their profiles.